T-Mobile will make the BlackBerry Bold 2 (or the 9700 as it's supposed to be called) available to the public from 10 November. The new phone is set to be released via the web on 6 November, and T-Mobile will be stocking it four days after that. However, it won't come cheap – while the phone will be free up front, customers will have to lock themselves into a two year deal at £35 per month. And if they want BlackBerry instant email and unlimited internet they'll have to shell out another £5 per month too, taking the overall cost to nearly £1,000, which is a lot of money even though it's for RIM's flagship keyboarded BlackBerry. 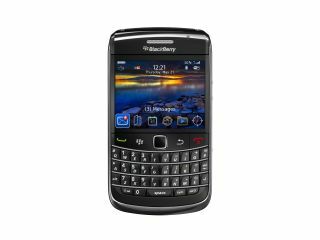 However, the Bold 9700 does build on the original model with a full QWERTY keyboard and 3G internet connection, as well as a fancy optical trackpad rather than the balls of old. It also runs the latest BB 5.0 OS and packs a 3.5mm headphone jack for listening to tunes and watching videos on the high resolution screen. It might not pack the keyboard spacing of the original Bold, but check it out if you're interested in always having the top of the range BlackBerry (and have no interest in the touchscreen Storm 2).